Set screw and fittings manufactured from 316 marine grade stainless steel (A4-AISI). Hexagon head set screw for installation with socket wrench. 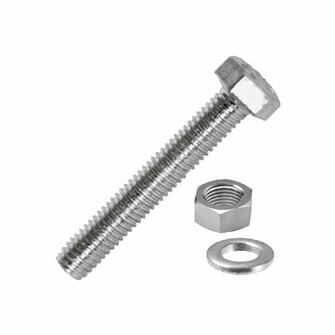 Supplied with full nut and plain washer for secure fixing. Good quality items quickly delivered at decent price.